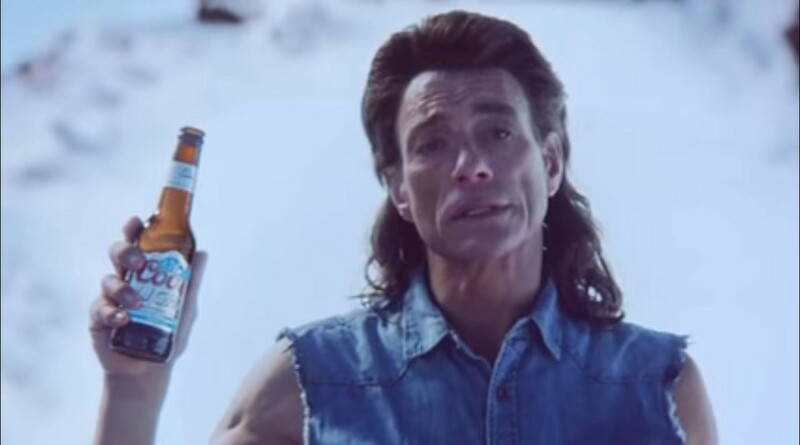 While the world may marvel at the viral “Ice Bucket Challenge” that’s promoting awareness and donations for ALS or Lou Gehrig’s Disease research, Bloodsport, Kickboxer, and Street Fighter: The Movie star and Hollywood actor Jean-Claude Van Damme shows that the cold is no match for him and his latest ad where he promotes Coors Light and builds a bar out of ice in this “Ice Bar Commercial“. 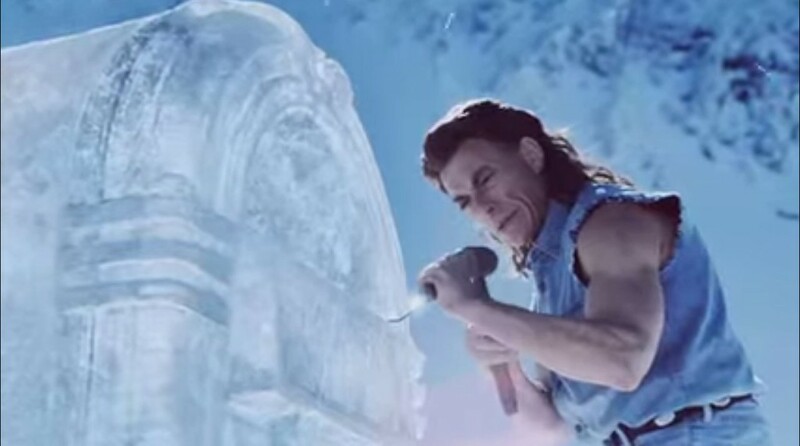 Coors Light: Ice BarSporting 80’s style action hero attire and a mullet tied into a ponytail for good effect, the “Muscles from Brussels” is back to promote VCCP by exploring the icy mountains and building with his own bare hands a “Coors Light Ice Bar“, which he carves directly out of frozen material. JCVD sculpts an Ice Bar with his bare hands in the new Coors Light commercial he stars in. Since his “Epic Split” commercial with Volvo became one of the most popular commercials of 2013, Van Damme is set to literally carve a name for himself once more in this new advertisement. Showing that blocks of ice and the cold weather won’t deter him, JCVD literally creates an “Ice Bar” from the ground up, fixing the nooks and crannies and even taking time to sculpt signage and create a musical jukebox from solid ice. His martial arts skills don’t go unnoticed either, as all the training, flying kicks, and elbow smashes prove useful in sending a serious message that mind and body are the best weapons to have when you set your goal to something – In this case, building an Ice Bar for the world to see! 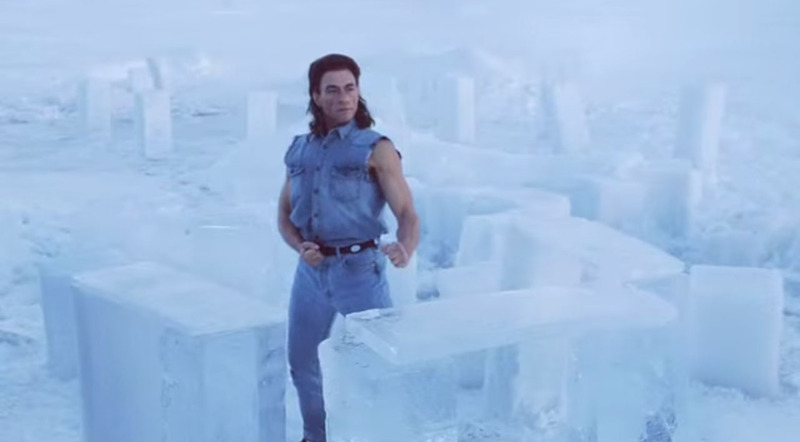 JCVD takes the fight to the ice… And WINS. So there you have it. JCVD has done it again, and this commercial emits everything nostalgic and awesome about the 80’s! Spongebob memes now have their own collectible figures!